There are many occasions when you need to do a small relocation, and only require a small removals company to help assist. Hire Man with Vans and book our affordable domestic removals. All of our costs are reasonable and won’t break the bank balance. Whether you have household or personnel equipment and possessions to move we can deal with it. Our small home removals services are the best and will get the move done competently. Our teams of movers are skilled to relocating almost any domestic contents. We have all of the correct tools and lifting equipment to load your goods and off load. We will ensure everything is loaded and strapped down and covered to protect for the shipping. All of our small or students removals are done to a high standard so you can relax. Our movers are the professionals and will supply the best small home removals services in the region. Distance isn’t a problem we cover locally and nationwide. You will be impressed with our small relocation services; they are done thoroughly and with care. For more about us contact us and ask for our latest deals. Call us now and book your moving date with our helpful and friendly office staff 020 8746 4432. Are you moving and only have a small amount of goods to shift to a new place? Or are you buying new furniture or appliances and need a reliable and reputable small removals company to do the job. It doesn’t matter what you need to move we can handle it. We can be hired for a few hours to longer the choice is yours. You will be impressed with the competence of our employees and the expertise. Our costs are competitive and will appeal to all. We can assure you that we will give you are a price that won’t break the moving budget. We guarantee all of our small house removals and will do a first class job. Nothing is too much for us; we will help with other services such as packing, loading and unloading. We will ensure the entire move goes without a hitch. We have years of experience and know exactly what we are doing. You can trust us to take good care of your furniture and possessions. Our hard working staff and polite and will do a meticulous job. Call us and ask for more information about our domestic removals and costs now. When you are searching for a reliable small removals company hire Man with Vans. We are the best in the area, and have a wide range of domestic removals services available to suit all. You can read a full description of our removal services on our website, and get a free quote online. For a dependable service make sure you use us. We will assist with your small house removals and get it done quickly but competently. We help reduce the stress. 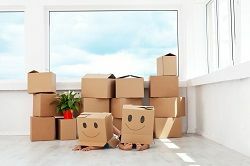 Nothing is too much for us we have a wealth of experience in the removals business, but are aware that you don’t always have a gigantic amount to shift. Nowadays we move for various reasons and sometimes more frequently. Call and book an appointment with our representative now and get a precise quote. We can answer all of your queries and measure the weight you want moving with our reputable small home removals. Our costs are excellent value and are guaranteed for your peace of mind. Contact our friendly office staff now 020 8746 4432, and book your moving date with our professionals.